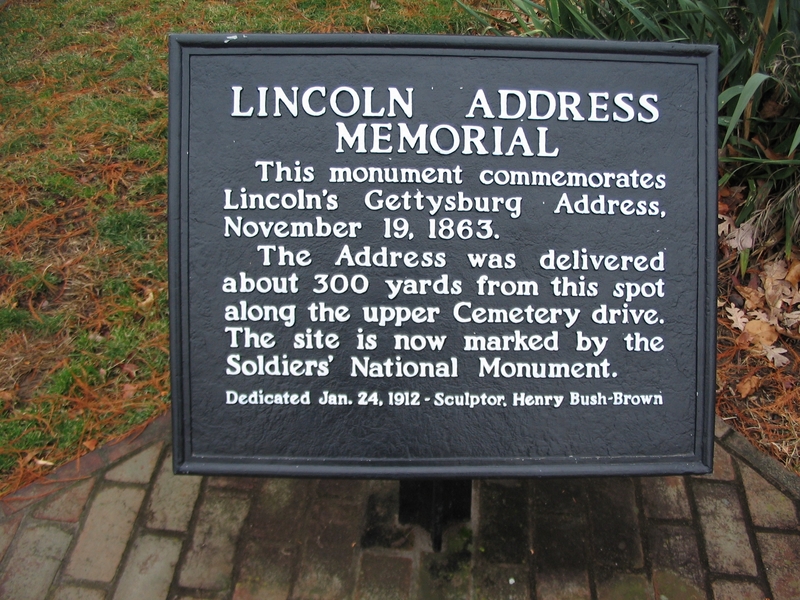 Additional Description: This monument commemorates Lincoln's Gettysburg Address, November 19, 1863. The Address was delivered about 300 yards from this spot along upper Cemetery drive. The site is now marked by the Soldiers' National Monument. Dedicated Jan. 24, 1912 - Sculptor, Henry Bush-Brown.